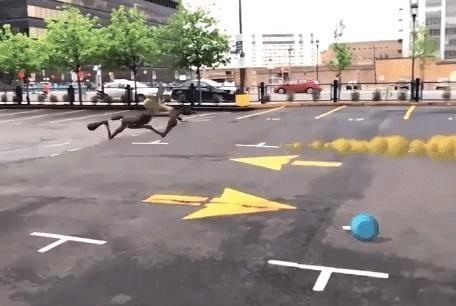 Even in augmented reality, Wile E. Coyote still can't catch the Road Runner. The latest AR experiment from developer Abhishek Singh brings the classic Looney Tunes duo into the real world. 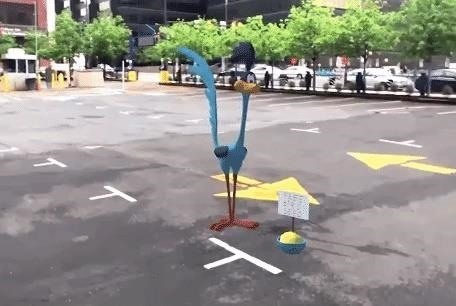 A recent demo video shared on Twitter and YouTube shows the pair running around a parking lot at top speed. 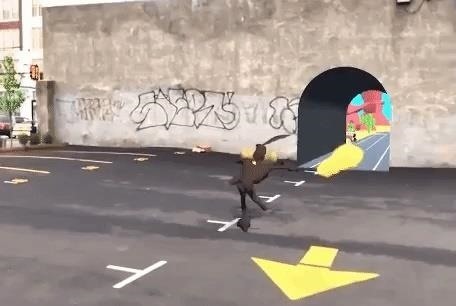 The experience also recreates the classic scene where Coyote paints a fake tunnel on a wall to trick the Road Runner, but the Road Runner is able to run through the tunnel while Coyote runs into the wall. The experience also captures the "freeze frame" trope from the cartoons, complete with annotation of the characters and their fake binomial nomenclature. This gives the user the opportunity to walk around the 3D characters as they might if transported to the world of the classic Warner Bros. cartoon. Singh built the experiment with Unity and ARKit. 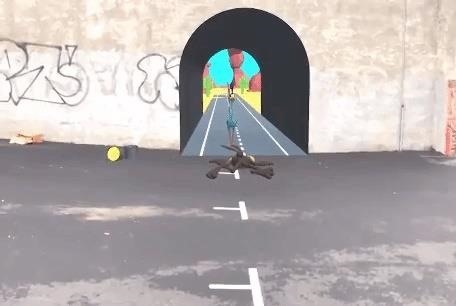 He confirmed with Next Reality that he used the horizontal and vertical plane detection in ARKit to have the characters run over real world ground and to create the amazingly accurate-to-cartoon "painted wall" effect. He also noted that the characters actually interact with each other in a fashion similar to Google's AR Stickers for Pixel. "So the Coyote does actually follow the Road Runner," said Singh. With his AR experiments revolving around pop culture, Singh has routinely grabbed the attention of tech media and AR enthusiasts alike. So far, Singh has rebuilt levels from Super Mario Bros. as an augmented reality obstacle course in Central Park with the HoloLens. He has conjured Sadako from The Ring to chase app users in their homes. And he has ported Street Fighter II as a multiplayer AR mobile game, where fighting takes place on actual streets. Alas, the experiments rarely make their way into the hands of actual customers, what with intellectual property laws being what they are. However, Singh does plan to share the code for this particular app on Github for those who wish to compile it on their own. One of these days, though, some IP holder will realize that there's a potential pot of gold at the intersection of nostalgia and AR. In this case, the AR experience reminds me of Who Framed Roger Rabbit?, the movie in which cartoon characters entered the real world to live alongside flesh and blood humans. This year marks the 30th anniversary of that film's release. Hey, Hollywood, you know what would be a great idea? An AR app that brings the characters from that movie into the real world!